This section includes a biography of Joyce and the challenges inherent in compiling a bibliography of him. 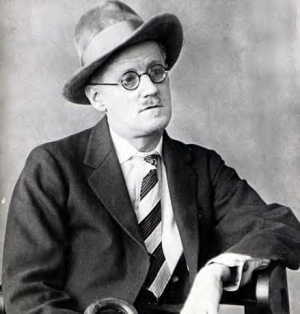 JAMES AUGUSTINE ALOYSIUS JOYCE (1882 - 1941), one of the most radical innovators of twentieth-century writing, was born at Rathgar, a suburb of Dublin, on Feb. 2, 1882. His father, who came from an old and substantial Cork family, had some talent as a musician, but his lounging forced the Joyce family into dire economic straits for much of James’s boyhood. Joyce’s father was an ardent supporter of Charles Stewart Parnell, the nationalist leader, and Parnell’s downfall (due to adultery) had a profound effect on the family, and Joyce’s later writings. James’s mother, the daughter of a Longford wine merchant, was a gentle, refined woman who bore thirteen children, ten of whom survived childhood (and of whom Jim was the eldest). Joyce was sent at first to the expensive Jesuit boarding school described in A Portrait of the Artist as a Young Man. By the time James, known as Jim, entered the Faculty of Arts in University College, Dublin, he was already struggling with the chronic poverty which followed him much of his life. 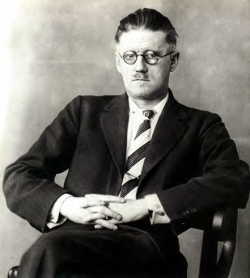 Joyce studied modern literature at university. Political and literary movements at the time, which had as their objective the freeing of Ireland from English dominance, held very little attraction for him. His instinct was for a broader European culture, and his exceptional facility for linguistic study gave him precocious access. A powerful and original intellect made him quickly intolerant of the narrow curriculum of his college and of the strict Roman Catholic orthodoxy by which it was controlled. Unlike his fellow Irishmen, who at the time were embracing the Irish language and enthusiastic for the theater of W.B. Yeats, J.M. Synge, and Lady Gregory, Joyce greatly admired Norwegian playwright Henrik Ibsen, and studied Dano-Norwegian to read the writer’s works in their original language. He revered Ibsen’s contempt for falsity and hypocrisy. Joyce placed Ibsen above Shakespeare as a dramatist; the Norwegian set an example for Joyce, and encouraged him, via his writings, to "walk in the light of his inner heroism". (O’Brien, 12). Ibsen encountered contention and censorship of his works, and Joyce felt a connection with him, perhaps foreseeing his own future struggles with censors and critics. When he was still an undergraduate, in 1900, his long review of Ibsen's last play was published in the "Fortnightly Review". In 1902 he left his family and his studies and went to Paris on the premise of reading medicine. After a year of near starvation he was recalled to Dublin to the deathbed of his mother, a scene famously recreated in Ulysses. His refusal to kneel in prayer beside the dying woman marked a turning point in his life at which he formally renounced the Christian faith. In his writings, the irrevocable influences of his religion manifest with profound power. 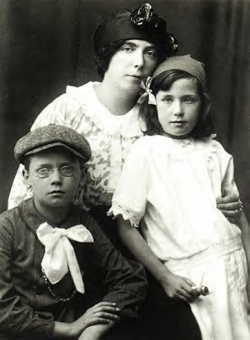 In 1904 Joyce again departed for the Continent, this time taking with him Nora Barnacle, who became the mother of his son Georgio (1905) and daughter Lucia (1907), and whom he married in 1931. Miss Barnacle, working as a chambermaid in a Dublin hotel when they met, had little education and no understanding of Joyce's work; she thought Joyce made things difficult for himself by writing in so strange a manner. However, she shared with him a passion for music, humor, and life. Their home from 1905 to 1915 was Trieste, where Joyce taught English at the Berlitz school. In 1909 and 1912 he made his final trips to Ireland, and attempted to secure the publication of his first book, "Dubliners," which finally appeared in England in 1914. In 1915, Joyce wrote "Exiles," his only play, and went into permanent exile himself. 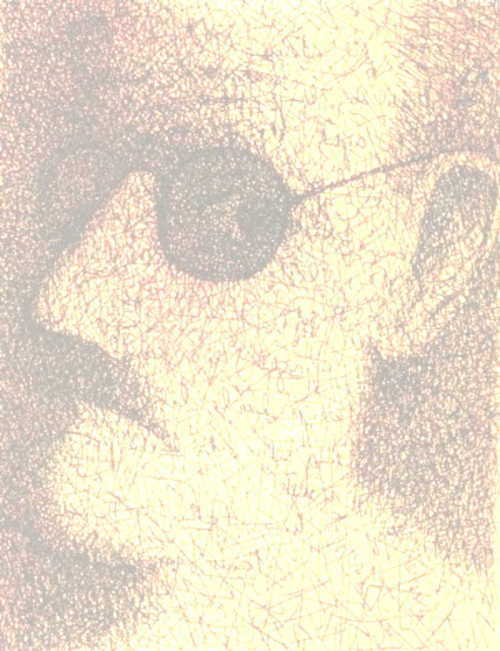 In 1916 A Portrait of the Artist as a Young Man appeared, thus establishing Joyce's reputation as a writer of genius. All the while, Joyce’s eyesight deteriorated. The family lived largely on the gifts of patrons – beginning in 1917, an English Quaker named Harriet Shaw Weaver supported Joyce financially and continued to do so until his death. He considered his reliance upon patronage as entirely honorable, due to the impediments placed upon him by society’s prejudices against him as a man of letters. In February 1922, Ulysses was published, after many years of rejection and censorship, by Sylvia Beach’s Shakespeare & Co. in Paris, and his last work, Finnegans Wake, was published in 1939, after 17 years of work. The ban on Ulysses in the United States was not lifted until 1933. 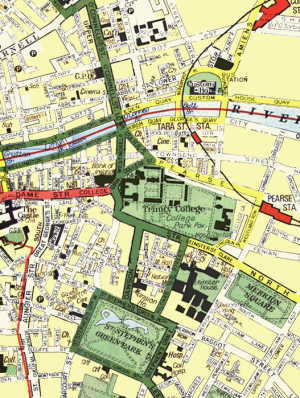 In 1940, Joyce and his family made their way to Zurich as World War II escalated. His last published letter, dated December 20, 1940, thanks the mayor for the asylum granted him. He died of a perforated duodenal ulcer in Zurich on Jan 13, 1941 and is buried there. The challenges associated with compiling a bibliography of James Joyce seem almost insurmountable. Not only have there been numerous reprints of all his works, but there is a voluminous body of scholarship, and many of the more well known sources have been revised and reprinted many times themselves. Then one has the critical works on the critical works, which has occurred countless times in Joyce scholarship. The critical sources are often as resonant and useful as the works themselves. Often Joyce texts don’t appear at first to speak for themselves; one’s reading of Ulysses, for example, is most definitely enhanced with the use of a guide. I selected Joyce because I admire him as a writer – as someone who pushes boundaries and makes us question convention. As a writer Joyce was merely trying to explicate life itself, to draw from it and describe the wealth of pure sadness and joy, jubilant love, and dire struggle. Joyce the man makes for a fascinating study as well, despite, or perhaps due to, his being irascible, arrogant, hard-drinking, and at times irresponsible and unkind. In his extensive biography of Joyce, Richard Ellmann states that “for Joyce understanding is a struggle, and best when humiliating.” Joyce has definitely passed the torch to his readers in this case. It is overwhelming to get a handle on Joyce scholarship – somewhat like trying to learn to swim by being dropped into the middle of the ocean. There have been over 7,000 articles, reviews, and books written on some Joycean subject over the last 8 years alone, which can be both a positive and a negative point. For one, opinions on Joyce’s work will never cease; it is not a well that will run dry. Scholars and general readers will constantly try to fit his texts into historical, literary, sociological, and personal contexts. Although Joyce’s standards of integrity differed from those of his contemporaries, he respected the language and manipulated it to give uncompromisingly realistic portrayals of human experience. Compiling a bibliography of a writer who had such a momentous influence on 20th century and subsequent writing was an arduous task, due to the seemingly endless body of critical work. At times, I found it hard to be as selective as I wanted to be. However, although Joyce’s moral and psychological landscapes may be intimidating to readers, there are a multitude of manageable sources on which one can rely and be amply rewarded. In Ulysses Joyce tells us that life can be affirmed but never resolved, and certainly the writings of James Joyce keep us searching for that affirmation.